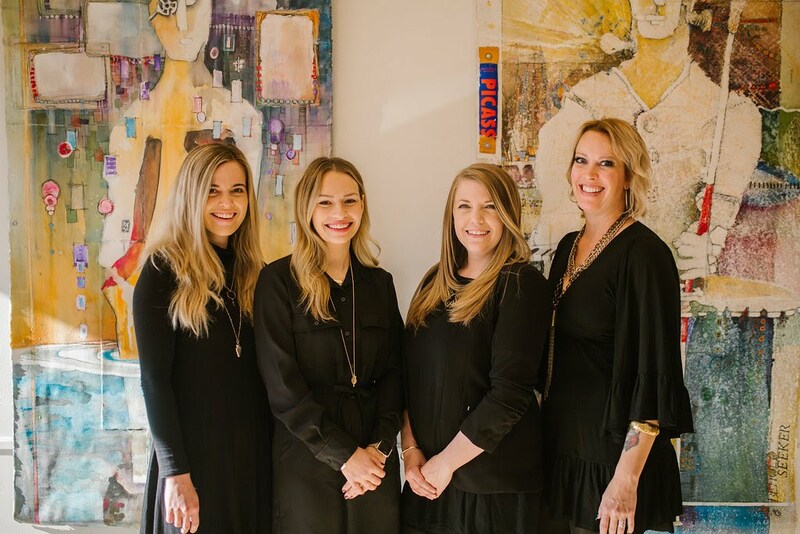 Molly, Erica, Tracey and Heather of Rembrandt Yard Art Gallery & Event Center. The gallery opened it's doors in 2004 and has been helping people celebrate life's biggest milestones ever since. When the Rembrandt Yard isn't closed for a wedding, non-profit gala or another event, the space serves as an art gallery showcasing artwork produced by local artists. The perfect girl’s day out starts at The Kitchen with a round of lemon ricotta pancakes and other locally sourced breakfast goodies. We then head a few doors down for a pick-me-up at our favorite coffee shop, Ozo. Now that we have our caffeine, we can conquer a day of shopping at our favorite Boulder boutiques. We work our way down Pearl, stopping in Two Sole Sisters, Haven and Bliss. After all of that shopping, it’s time to get pampered at MudbuM with a Fresh facial - we love how it wakes up our tired and dull skin. When our facials are finished, it’s time for an early dinner. There are so many great restaurants to choose from downtown, but the smell of fried chicken down the street makes our decision easy: The Post Brewing Co. it is! We fill up on chicken and beer before heading to the Boulder Theater for a show. After all, the best way to end a girl’s day out is dancing with your favorite ladies! This is just an example of our ideal girl’s day out. There are so many wonderful businesses downtown – it’s difficult to pick and choose! We sure are lucky to be in downtown Boulder! No day is the same when you're Downtown Boulder. You can't beat the people watching out of our floor-to-ceiling windows! Daily exposure to bacteria, the environment, your diet and hormones leaves your face heavy + dirty. We believe that the solution to brighter, more youthful skin is through routine skincare. The Post Brewing Company brews beers that are gosh darn delicious, memorable, and something you will want to put in your mouth repeatedly.